The second chapter of Jack Schneider's From The Ivory Tower To The Schoolhouse focuses on Howard Gardner's multiple intelligences theory and how it made its way from Harvard to Pinterest. How did the theory catch on, and why does multiple intelligences theory continue to resonate with teachers when research ideas so rarely do? For a moment, though, let's take a different perspective than Schneider's. In addition to whatever ideological value multiple intelligences has for teachers, teachers clearly find it useful in our work with students. Look at Pinterest or Teachers Pay Teachers and you'll see hundreds of pictures, posters and documents attesting to its usefulness. Useful how? It seems to me that teachers primarily find MI helpful in establishing culture and signaling values to students. Consider the poster at the top of this post, clearly designed and directed to children. Also consider that there is an entire genre of activities and lessons invoking Gardner and intended for the first days of school. 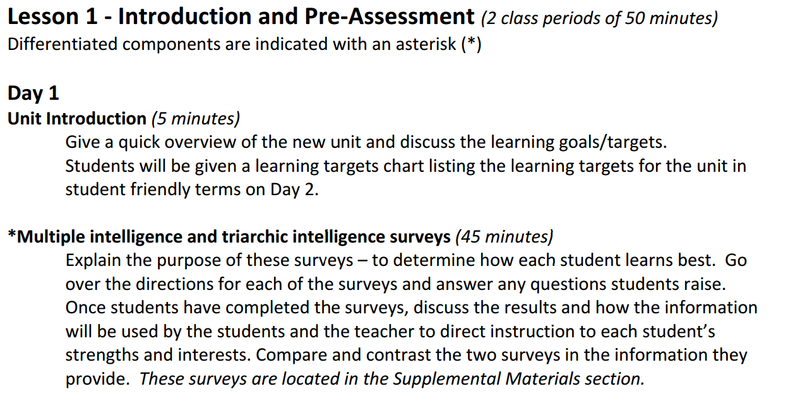 Teachers use multiple intelligences as an introduction to a course or as a quick icebreaker. These activities are put at the front of the course for a reason, and it's the same reason that the posters end up on the walls. 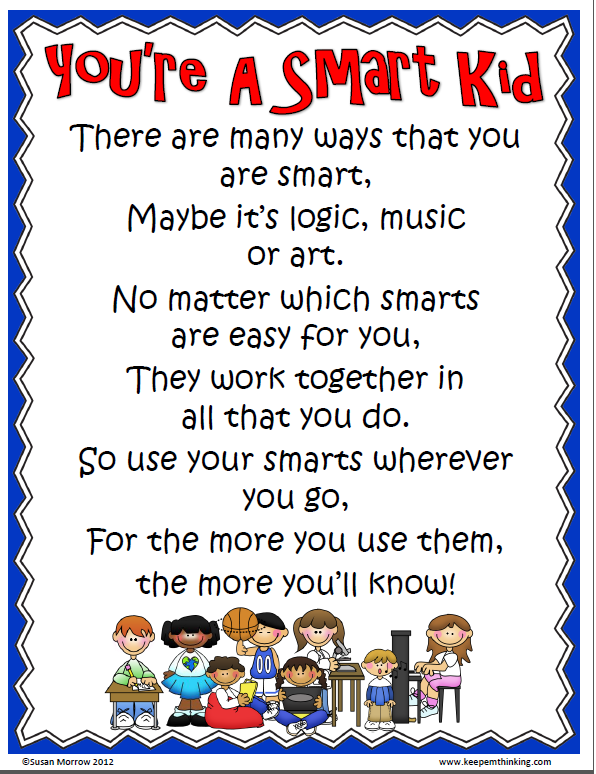 Teachers tend to use multiple intelligences not for planning or for assessment but rather to communicate their core classroom values with students: a promise to see each student as an individual, a sincere desire to do what's best for everyone, a commitment to focusing on learning. A major theme of Schneider's book is that in order to enter the classroom, a piece of research needs to be transportable -- memorable, catchy, easy to remember, easy to share. His point is that transportability is necessary for catching the attention and minds of teachers. But once we note that teachers use multiple intelligences to signal values to students, we might see transportability differently. Part of the success of Gardner's theory is that its succinct catchiness made it more useful for teachers in signalling their values to students. In other words, we can turn Schneider's idea on its head. Teachers aren't just subject to the memorable idea of multiple intelligences. We are also savvy recognizers of the usefulness of a catchy idea for our work with students. Schneider doesn't spend much time detailing the usefulness of multiple intelligences to teachers. This is surely because he sees other, more powerful actors at play: policy makers, independent school leaders, PD consultants and authors. Teachers are subject to all these forces, and there isn't much room to discuss the classroom in this truly exciting narrative. If there was one thing I wish Schneider would have expanded upon, it would have been the commingling of multiple intelligences and learning styles. It's addressed in a couple of paragraphs but only briefly. Throughout this chapter, Schneider is careful to talk about multiple intelligences, not learning styles. After all, he wants to understand how Gardner's theory caught on so widely. Learning styles has its own history, and Schneider isn't writing it. But to a large extent it's through learning styles that Gardner's theory has become pervasive in the teaching community. If we look only at multiple intelligences, and not at learning styles, we'll fail to see many of the ways in which Gardner's theory became useful to teachers. In doing so we run the risk of overemphasizing the ways in which teachers are subject to the forces of education, rather than as agents of history ourselves. Raymond Johnson and I are reading Jack Schneider's new book, "From the Ivory Tower to the Schoolhouse: How Scholarship Becomes Common Knowledge in Education." This post was in response to Raymond's recap of Chapter Two. Previously: Chapter One. I don't think that I had a single education class in my undergrad that did not mention the theories of multiple intelligence or have us create a lesson plan using them. It was really frustrating to me, but I am not sure many other teachers had that same experience. I took a master's program for my credential; we only had to slog through Gardner once. 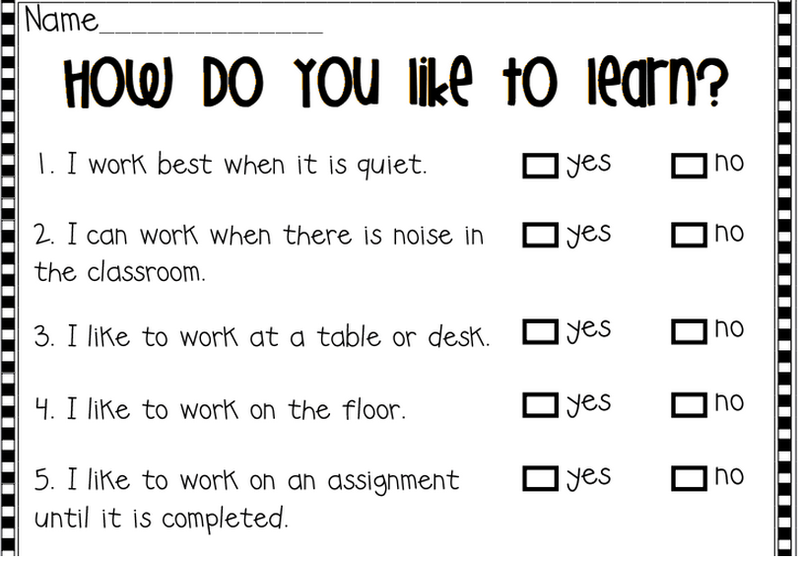 But many states require that teachers try to access students through "different learning styles". But ed school is nothing but a bunch of indoctrination you have to slog through to talk about teaching. The talking about teaching is the useful part. A Question That Builds Understanding Of "Power"